The red circles contain smaller circles on the maps. Those smaller circles contain the identifying numbers of the photographs. The arrows on the small black circles identify the direction the camera was facing for a given photograph. 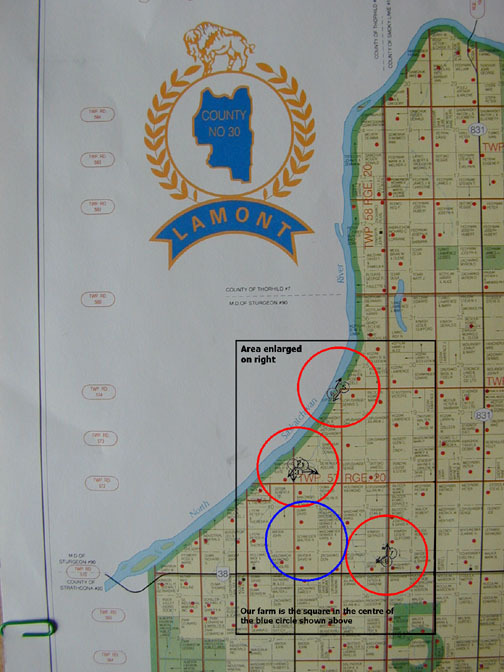 The small red dots on the maps identify the location of farm residences. The oblong vertical squares bordered by reddish brown lines represent areas one mile by two miles each. 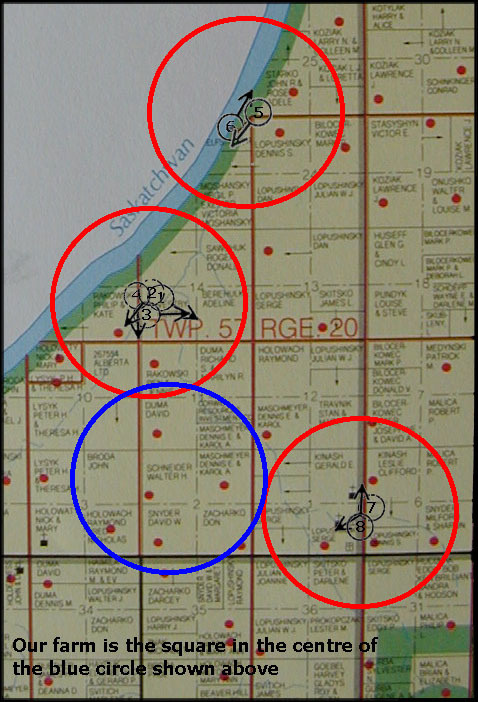 The uppermost red circle identifies the location where photograph #5 and #6 were taken. The next lower red circle identifies the location of where photograph #1, #2, #3 and #4 were taken. The bottom-most red circle identifies the location for the photograph of the Greek Catholic Church at Skaro and of the photograph taken of the view looking north from there. 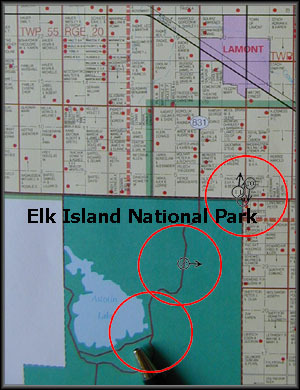 Elk Island National Park houses a herd of Wood Bison. 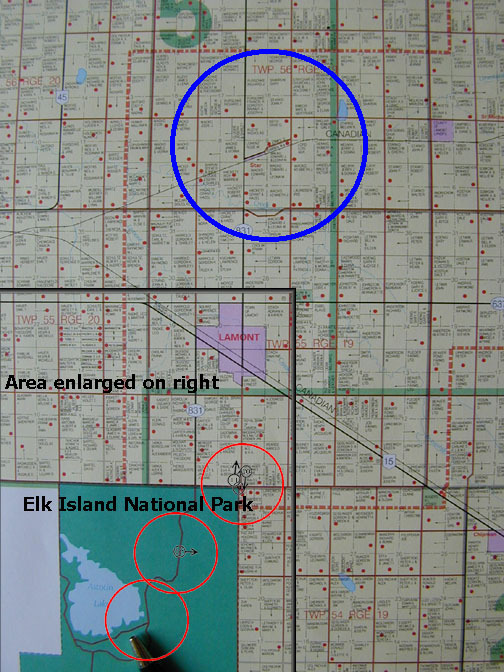 The centre of the blue circle on the map at left identifies the location of the grain elevator at Star. It is the large structure visible about half-way up on the left of photograph #9. Photographs 9, 10 and 11 were taken in the centre of the uppermost red circle. Photograph 12 was taken in the centre of the next lower red circle. The photographs of the sunset at Astotin Lake and of the Ukrainian Pioneers Exhibit were taken in the centre of the bottom-most red circle. Higher resolution files of individual photographs can be made available if required. If you are interested in what is happening to our families, and if you worry about your and your children's future, or if you are a parent who has been expelled from the lives of his children and you feel powerless to do anything about it, then please visit also the Website of Fathers for Life.